If you’re looking to extend or enhance your home in Lancashire with a conservatory, extension, orangery or replacement conservatory roof, then you will more than likely have lots of questions about how you go about choosing a style, finding a reputable installer, whether you will need planning permission or not and much more. There are many options available for conservatories and extensions in Lancashire and this handy guide will take you through some of the most important decisions and advise you every step of the way about your Lancashire home improvement project. It will also advise you about replacement conservatory roofs in Lancashire and how to go about finding a Lancashire replacement conservatory roof installer, as well as explaining the many options on these hugely popular solid tiled replacement conservatory roofs. The first step to extending your home is to choose between a conservatory, an extension or an orangery. This is a big decision and you need to carefully weigh up all of the options available to you and decide what is best for you, your family and your home. Think about how you want to use the space, what the planned purpose for it is, what the weather is like in your part of Lancashire and how big your new space will be. Lancashire conservatories and orangeries are a popular choice for many as they offer a fast and affordable way to add extra living space to your home. Conservatories are available in a wide range of styles, including Victorian, Georgian, Lean-to and Gable or Orangery. A Victorian conservatory is a great choice for traditional homes. The faceted end of a Victorian conservatory is available with either 3 or 5 facets, the choice is yours. A Georgian or Edwardian conservatory is a popular choice for many and is distinguished by the angular square or rectangular floor space. This style of conservatory allows you to maximise every inch of floor space, ensuring you can fill your new conservatory with furniture and accessories to make it your own. A lean-to conservatory in Lancashire is a good choice if you want a simple yet effective conservatory. Once seen as the more old-fashioned style of conservatories, lean-to’s have grown in popularity in recent years thanks to their simple, clean lines. If you want to add a sense of grandeur to your home in Lancashire, then a gable fronted might be just what you’re looking for. Typified by the gable end which gives it its name, a gable conservatory offers immense roof height and a beautiful sense of space – an especially wise choice if the footprint of your conservatory is on the small side, a gable will help your new conservatory to feel bigger thanks to the height of the roof, all the way back to the house host wall. Orangeries in Lancashire are a stunning choice to make a real statement on your home. Once suited to more traditional properties, thanks to Ultraframe orangery roofing systems, orangeries can now be featured on either traditional or modern properties. We have various orangery products that can help to give your Lancashire orangery a contemporary or traditional look. For example, our Cornice system can be used in a curved finish for a more traditional look, or specified in the flat design, in either one, two or three tiers for a more contemporary look that is suited to modern and new build properties. If after considering a conservatory in Lancashire or an orangery in Lancashire, you decide that they are not quite right for you and your home, you may want to consider adding an extension. Extensions in Lancashire, just like conservatories and orangeries, are available in a wide range of styles and Ultraframe has a range of roofing system to help you build your Lancashire home extension in a way that saves you time while providing the very best in thermal performance and of course, boosting the value of your home. Extensions are available with lantern roofs, flat roofs, flat skylights and tiled solid roofs – whatever style of roof you choose for your home extension in Lancashire; Ultraframe has the roofing system for the project. Ultraframe is the world market leader in the design and manufacture of conservatory and extension roofing systems, so you can be assured that your new living space will not only look beautiful, but will also feature the very latest technology, ensuring it is highly thermally efficient. The definition of an extension is not quite as clear but many people feel that once the roof of an additional new living space is mainly made from tiles or another opaque material, with minimal areas of glazing, then it becomes an extension. Choosing the company to install your new conservatory, orangery or home extension is a big decision. You need someone you can trust, who will provide you with not only the best products but also, an impeccable level of service. Thankfully Ultraframe can help. 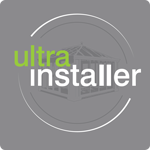 To find a reputable, accredited orangery installer in Lancashire (who will also be able to fit conservatories and extensions in Lancashire), you need to choose an Ultraframe Ultra Installer. To find your local conservatory, orangery or extension installer and to find out more about how an Ultra Installer can offer you complete peace of mind, click here. We hope that this handy guide has been useful in advising you about installing a conservatory, orangery or extension in Lancashire. By choosing an Ultraframe Ultra Installer to design and install your new conservatory, orangery or extension, you can be assured that you will be getting the best products and the very best in service and before you know it you’ll be relaxing in your new conservatory with a hearty bowl of Lancashire hotpot and enjoying your beautiful new living space.